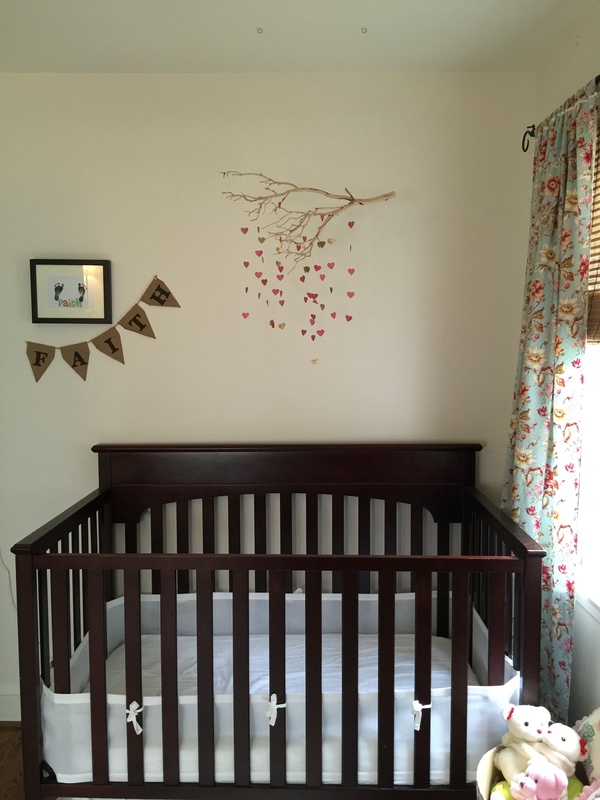 Remember back when I found out I was pregnant with twins and was all excited about decorating their nursery, actually renovated our house and then I was put on bedrest? 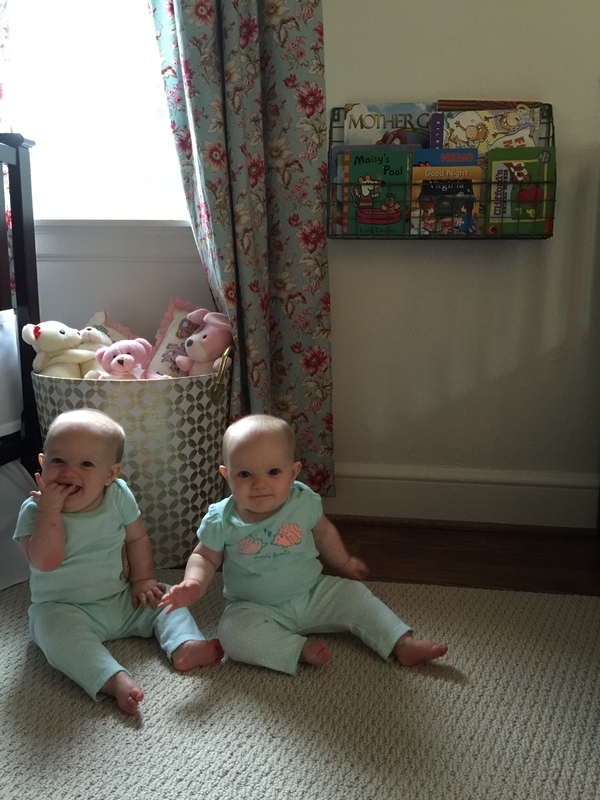 Well, thanks to my amazing mom, aunt, mother in law and Charlie, we were able to bring our girls home to a beautiful room fit for the twincesses that they are. While I’ll never call a room “done” I definitely didn’t get to do all the things I wanted in this room before they came. I wanted to put my stamp on it, put personalized decor up, including their names. I know this room will constantly change to suit their needs, but I love that it really feels like their room now. I made this wreath from my grandmother’s fabric, who we lost earlier this year. She never got to actually meet the girls, but having this in their room (as well as many pjs handmade by her) is extra special. Some of the fabric is also my aunt’s as well as some left over curtain fabric to tie it into the room. I also sprinkled in some lace left over from my wedding veil that my mom made (which is also sewn to the top of the curtains). 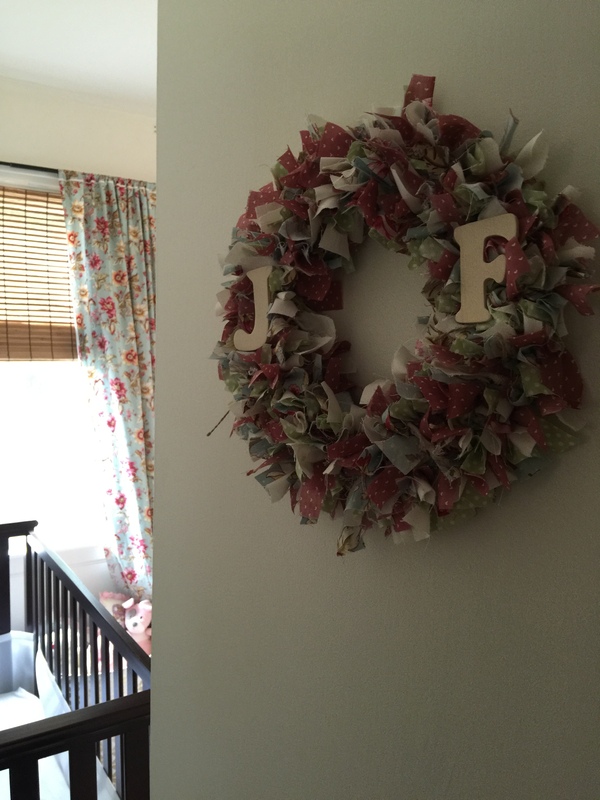 Lots of specialness in this wreath! I was able to make the mobiles when I was on bedrest, and they really love looking at them and reaching for them. 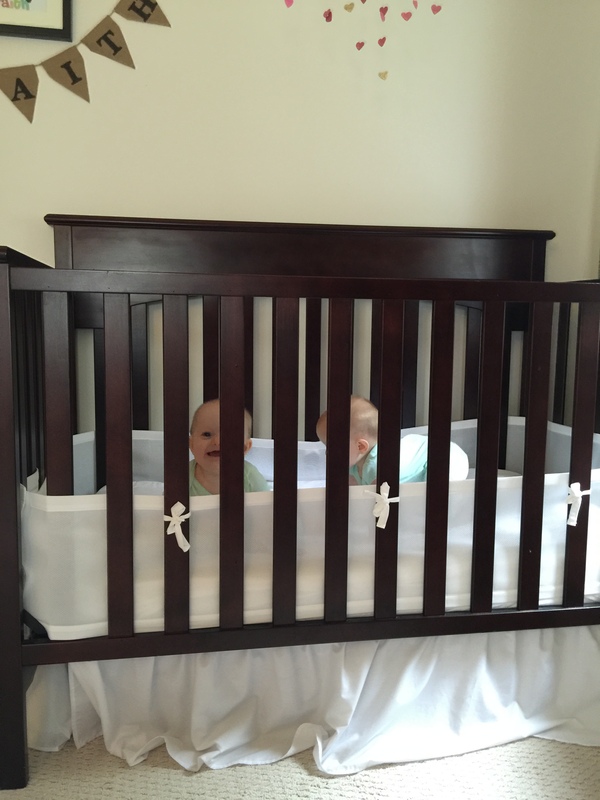 We’ve recently lowered their cribs. 😉 We also got mesh bumpers to keep little arms and legs from getting stuck in the crib. I made pennant banners, with the help of my mother in law, with their names on it. It’s hard to see from pictures but there’s actually a little gold woven into the burlap. 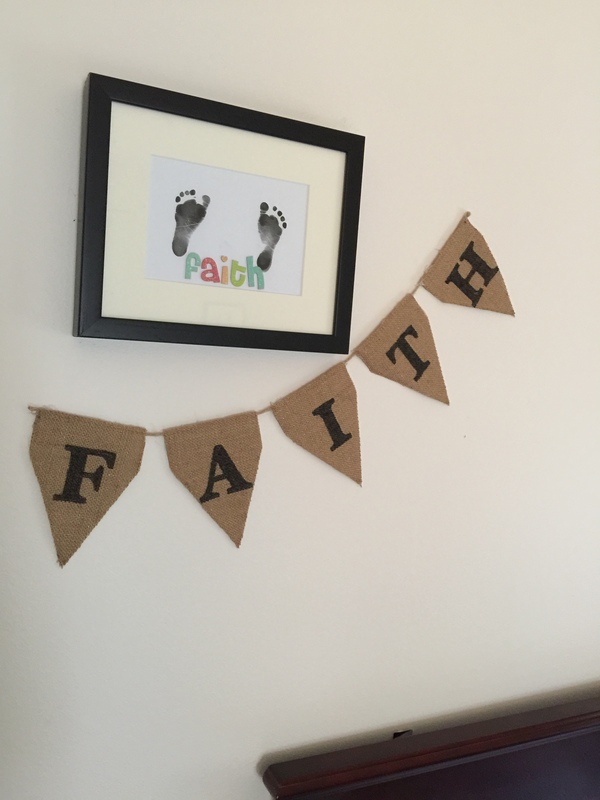 I also had their feet stamped in the hospital nursery to frame. I found this wire basket at World Market to hold some of their books. I’d like to add another one eventually, throw down some comfy pillows and blankets, and make this little area their reading nook. We got a new rug after learning that anything shag and babies don’t do very well together. The previous rug was in another room so it wasn’t a big deal to replace. This one is lower profile and still neutral. 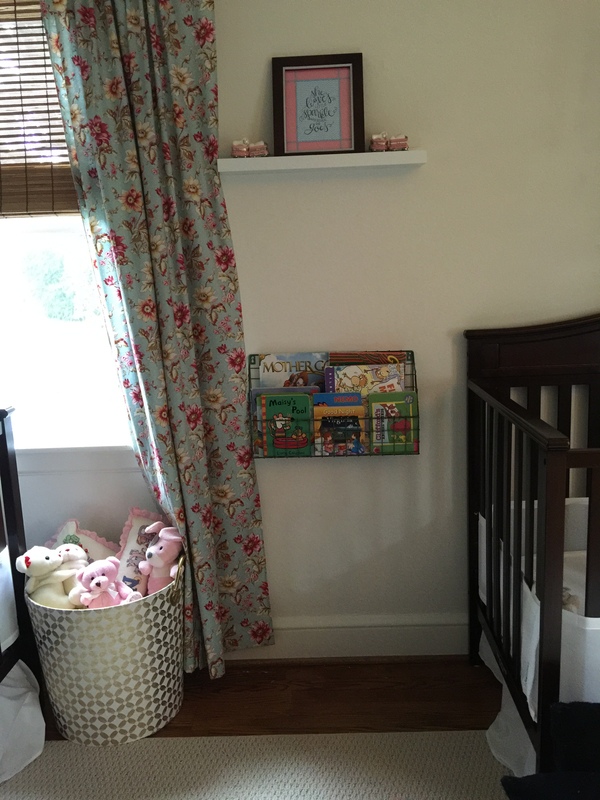 We also got bedskirts to hide the million things I have stored under their cribs! 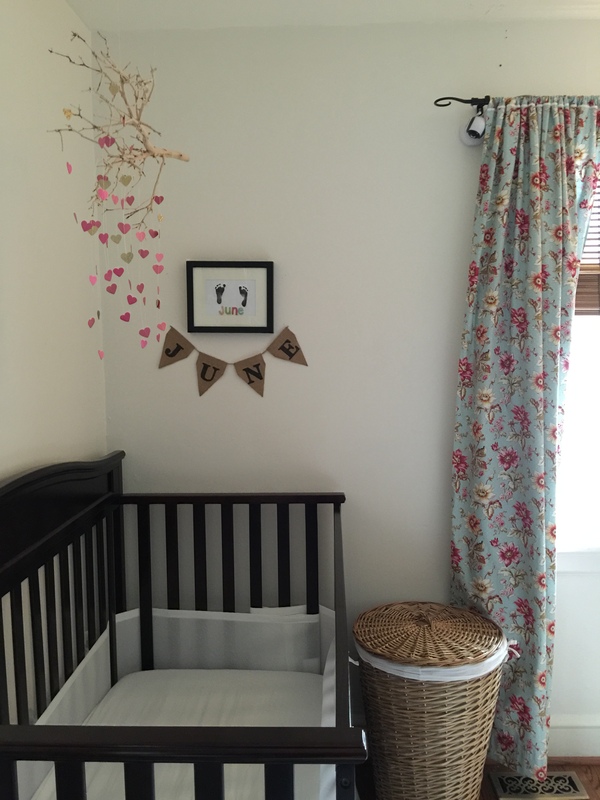 I’ve talked about these curtain liners on the blog before, but haven’t shown an actual picture of them hung in their room. 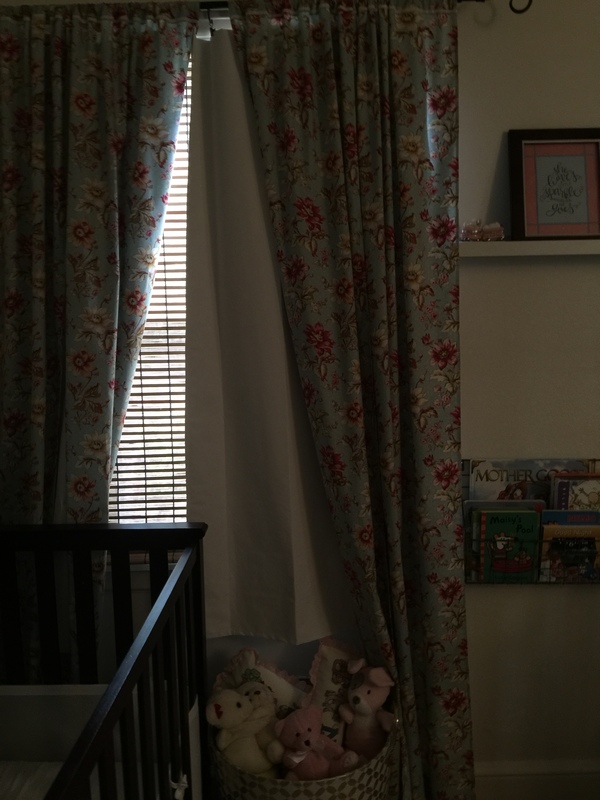 We hung them behind the curtains to pull closed when the girls go to sleep, and they can be easily pulled back and hidden behind the curtains when they wake up. When I first hung them up, the curtains weren’t full enough to hide the liners so my mom altered the curtains, which also meant lowering them a bit but it works! And of course what would this room be without its adorable occupants? Add some color and texture with accessories. 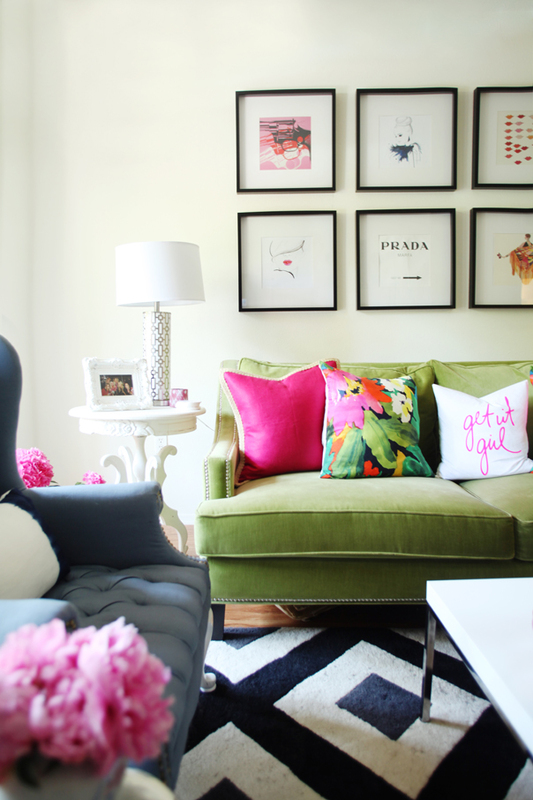 Even small additions (or swaps) like picture frames, vases, figurines, etc can give a sense of “newness” in your home. Check out thrift stores, yard sales or places like Homegoods, World Market and Pier 1 for unique items. I wrote a post here on ideas and what to look for. You can also shop your own house! 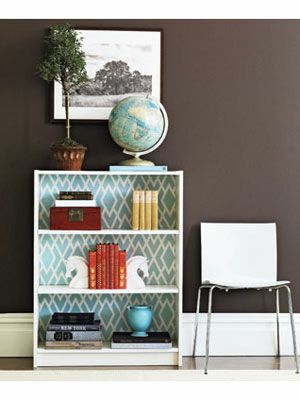 Switch items from room to room or spray paint them for a new look. Try brighter or lighter drapes to allow more light in or switch out pillows with heavy fabric to lighter or brighter ones. Also take a look at your bedding. A new duvet or quilt might be just the update you need. Have an old piece of furniture that’s an eye sore? Consider painting it or seeing if it would be better in another room of your home. Changing hardware on furniture is a super easy update as well; all you need is a screwdriver and new hardware. 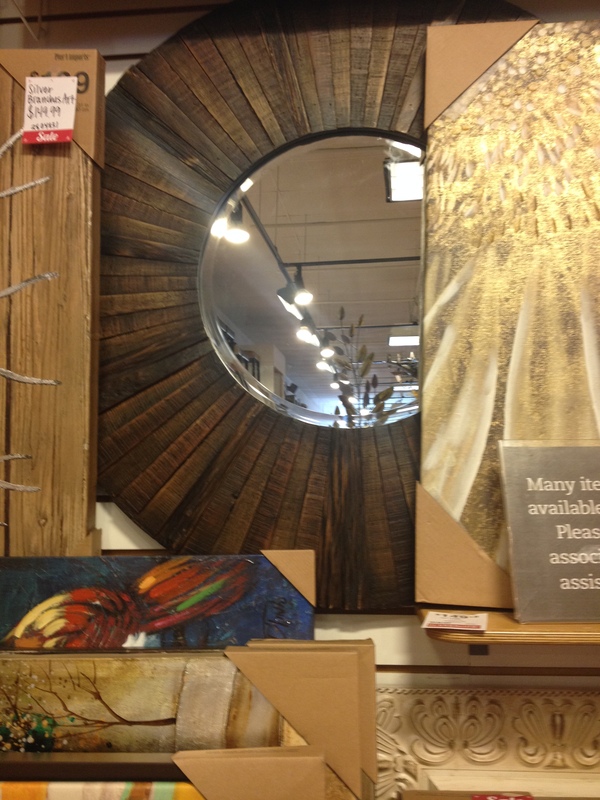 Mirrors are great in any room. They reflect light making a room brighter, they also can make a room appear larger. Thrift shops and yard sales are great sources for large mirrors. Remember you can always update the frames with a little can of spray paint! 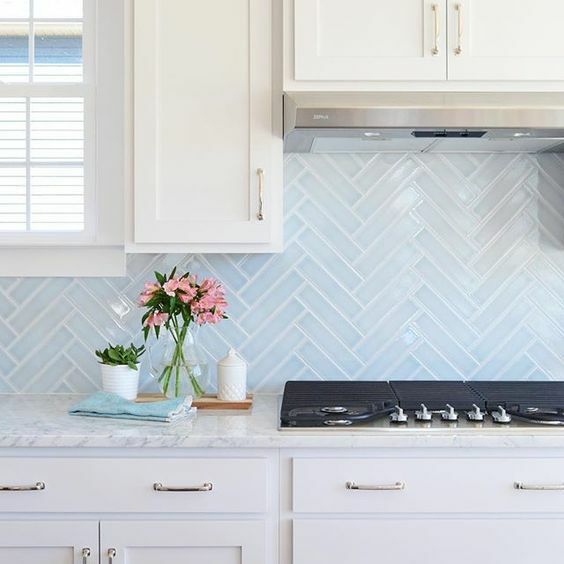 Kitchens are often forgotten about when decorating. Hang some art on the walls, arrange a colorful fruit bowl, and bring out pretty dishes to display. 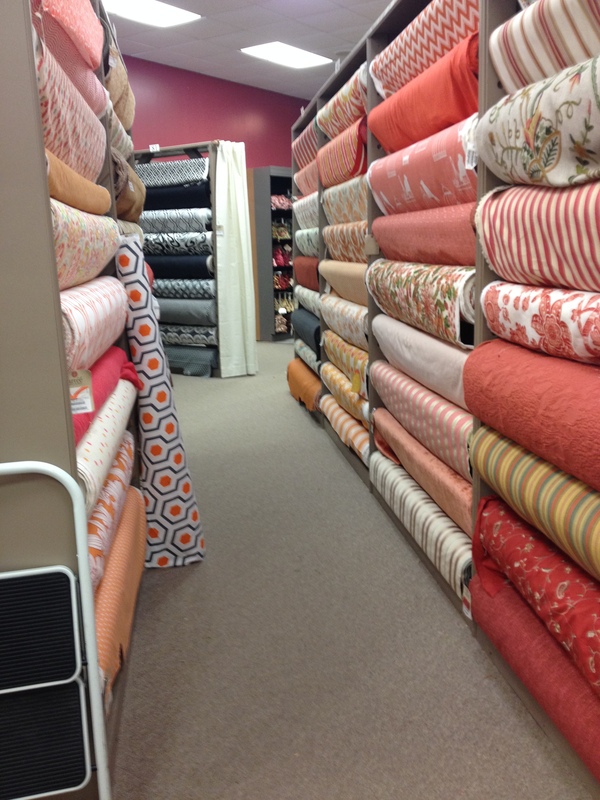 If you have an eat in kitchen or dining room, change your table linens or seat cushions for an inexpensive update. 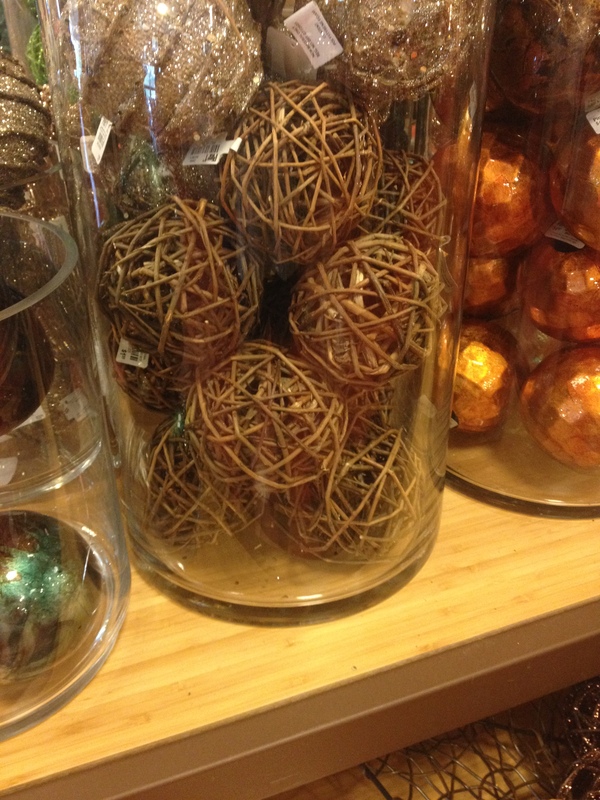 This is a super easy way to decorate for the seasons. 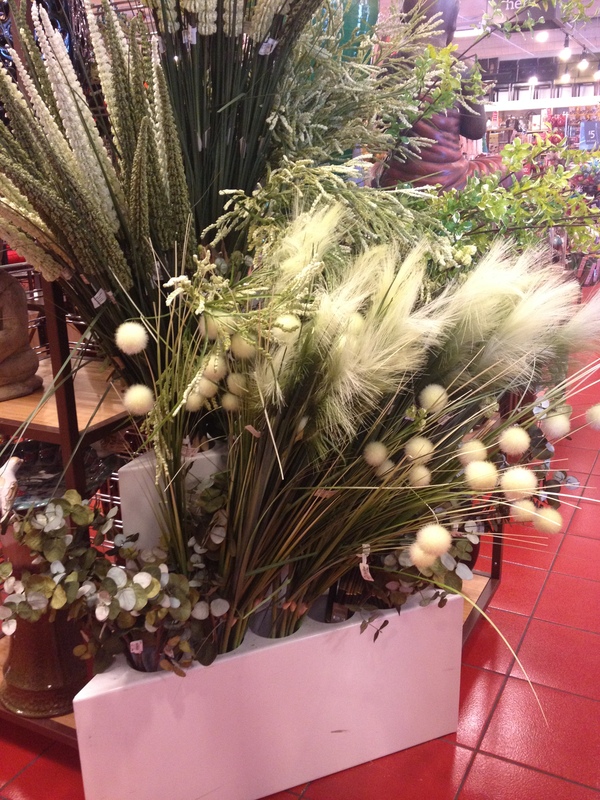 Add a vase of pretty flowers or a plant to any room and it immediately feels more welcoming and fresh. Sometimes all you need is a new candle to make your home feel new and refreshed!